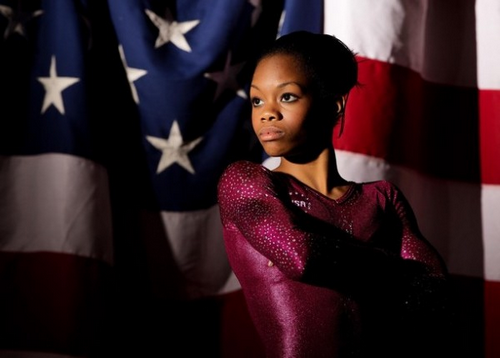 Los Angeles, CA – OWN: On the heels of gymnast Gabby Douglas' victorious Olympic experience in London—winning gold medals in both the individual all-around and team competitions—Oprah Winfrey sits down with the 16-year-old for a candid conversation from her training ground in West Des Moines, Iowa. The interview will air on Oprah’s Next Chapter at a special time on Sunday, August 26, at 8:30 p.m. ET/PT on OWN: Oprah Winfrey Network. Douglas will discuss her rise to Olympic gold and the intense and immediate media attention she found herself facing in London. Winfrey will visit the host family that provided a second home for Douglas during her training, and visit the gym in Des Moines, Iowa, where Douglas trained six days a week in preparation for London. Winfrey will also speak with Gabby's mother, Natalie, who cheered Gabby on from the stands every day and stood behind her as she pursued her Olympic dreams.